Offending behaviour is one of the most talked about issues in contemporary society. What can be done to stop people reoffending? What can be done to help people escape their criminal lifestyles? This book aims to review and analyse the different ways in which these questions are addressed in practice, drawing upon the expertise of academics and practitioners. 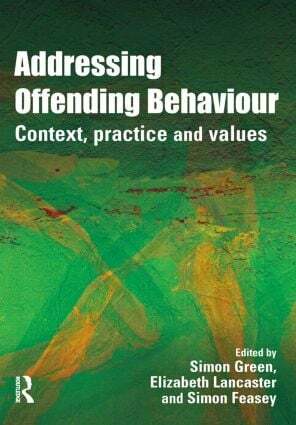 The book provides a critical reference text for practitioners, students and researchers interested in devising the most effective means of addressing offending behaviour. Its focus is on the actual work undertaken with offenders, and draws upon generic issues of practice applicable across the voluntary, community and statutory sectors. Addressing Offending Behaviour aims to bridge the gap between practice and research. It explores a wide range of innovative techniques for offender intervention, along with some of the most challenging academic theories. It also considers the wider social, political and legal context in which this work takes place, and explores the values and bias which operate at both individual and institutional levels. It will be key reading for both students and practitioners involved in the fields of criminology and criminal justice, law, policing, probation, prisons, youth justice and social work. Engagement skills: best practice or effective practice?